Debbie’s son Mike said life was “hard” for him growing up without his mother and father, not having their “guidance” at times when he needed it. Mike said that when he went to wake up his mother the morning after her release from prison he saw her feet for the first time in his life. “Things people take for granted like just talking to your parents — I never had,” Michael said. “Fortunately I had the support of my parent’s family, other MOVE members and MOVE supporters. It helped a lot. 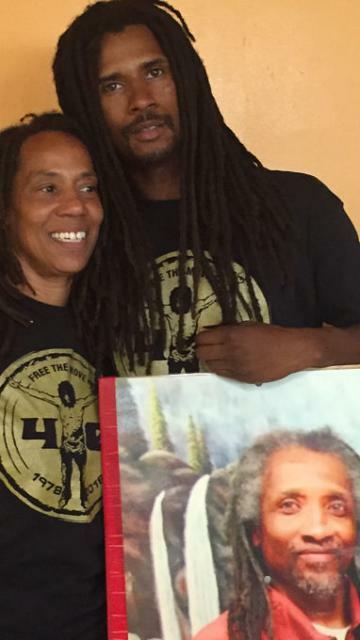 The arbitrary and often abusive practices of authorities that drove clashes between MOVE and Philadelphia City authorities were evident in the parole release of Debbie Africa – a parole granted after eight previous parole rejections. Debbie and fellow MOVE members Janine and Janet each saw the Pennsylvania Parole Board on the same day. Each had similar unblemished prison records, each were credited with positively mentoring other inmates, each were praised for helping keep calm in the prison and each – for the first time ever – had a release recommendation from Philadelphia’s new District Attorney, Larry Krasner. But the Parole Board rejected Janine and Janet while that Board released Debbie during a process that is completely secret even from lawyers representing inmates. One reason given by the Parole Board for the rejection of Janine and Janet was they received a negative recommendation from Philly’s DA – a claim that is factually inaccurate according to Brad Thomson, the lawyer who represented Debbie, Janine and Janet during that parole proceeding. “It is shocking that Janet and Janine were denied parole. Their circumstances and institutional records are nearly identical to Debbie’s,” stated Thomson, who attended the press conference with Debbie and Mike Jr.
“The decision to deny Janet and Janine appears arbitrary and it is difficult to understand how the Parole Board could justify it based on the facts that were presented,” noted Thomson of the People’s Law Office in Chicago. Then again, arbitrariness and abuse riddled the MOVE 9 trial. The judge who convicted and sentenced the MOVE 9 during a non-jury proceeding said he meted out identical sentences because they “were a family” and that he, therefore, would sentence them as a family – a stance that made a mockery of the so-called maxim of prison time fitting the crime. Police testimony during that long trial was that only the four MOVE men were armed and the MOVE women, including Debbie Africa, were merely holding children while huddled inside the basement of the then MOVE compound in Philadelphia’s Powelton Village during that 1978 shootout. 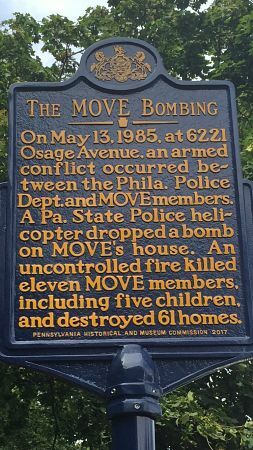 The arrest and imprisonment of the MOVE 9 unleashed a chain of events that culminated in the horrific May 13, 1985 incident where Philadelphia police bombed another house occupied by MOVE members and deliberately allowed an inferno sparked by that bomb to burn, preventing firefighters from trying to put it out. That bomb-triggered blaze incinerated 11 MOVE members including five children. That police blaze also destroyed 61 adjacent homes and left 250 people homeless. Police snipers drove some MOVE members who tried to flee their burning building back into the inferno where temperatures reached 2,000-degrees. Only one MOVE adult and one child escaped that deadly firestorm. One of the MOVE members murdered by police action during that 1985 clash was MOVE founder John Africa. The five youth deaths included the children of Janine and Janet, Debbie’s now former cellmates. No Philadelphia police officer or City official faced prosecution for that incident where an FBI agent supplied the main component for that bomb — military C-4 hi-explosive — that Philadelphia police dropped from a Pa State Police helicopter. Debbie Africa said she is looking forward to strengthening bonds with her children and grandchildren. She will adjust to life outside prison like learning how to use a cell phone, a now ubiquitous device that didn’t exist at the time of her arrest in 1978. And she said she would work for the release of her imprisoned MOVE family members.